Manhattan Air Duster (410632) by Manhattan Products at Pacs BG. MPN: FBA_410632. Hurry! Limited time offer. Offer valid only while supplies last. 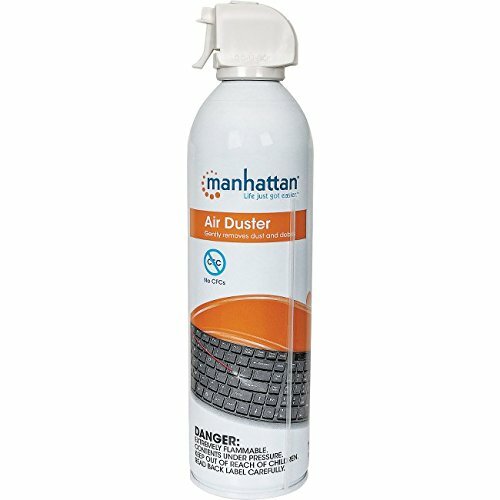 Manhattan 410632 Air Duster One Case Twelve 8 oz. If you have any questions about this product by Manhattan Products, contact us by completing and submitting the form below. If you are looking for a specif part number, please include it with your message. Compucessory Products - Power Duster Plus, Nonflammable, 10 oz. Can, 2/PK - Sold as 1 PK - Nonflammable Power Duster safely cleans and removes dust from computer and hard-to-reach places. Formula is 100 percent nonflammable and ozone-safe.